An over the top swing is one that features a downswing in which the clubhead is located outside of the target line as it makes it descent towards the ball. Indeed, as the name of the swing error suggests the clubhead will be situated on top of the target line – generally speaking – and it will travel towards the ball on an outside-in club path, which is far from ideal in most circumstances. This is in contrast to a better swing that sees the clubhead traveling from inside of the target line during the downswing on what is known as an inside-square-inside club path, where it will be square to the target at impact and continue moving along the golfer’s body during the follow through. 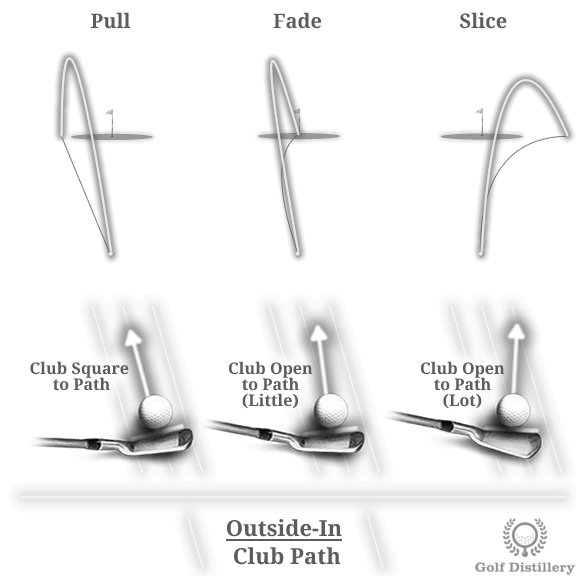 Thanks to its location outside or on top of the target line the club cannot follow a desirable inside-square-inside club path. 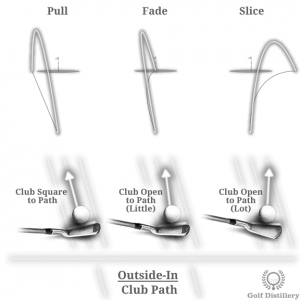 Instead, it will come in towards the ball under an outside-in club path, a path that is strongly associated with slices and one that cannot produce straight shots at the target. Another issue with an over the top swing is that it fails to generate much energy and as a result can’t transfer much power onto the ball. This inability to produce much force comes from the interruption that happens during the transition from the coiling and uncoiling of the upper body and hips. 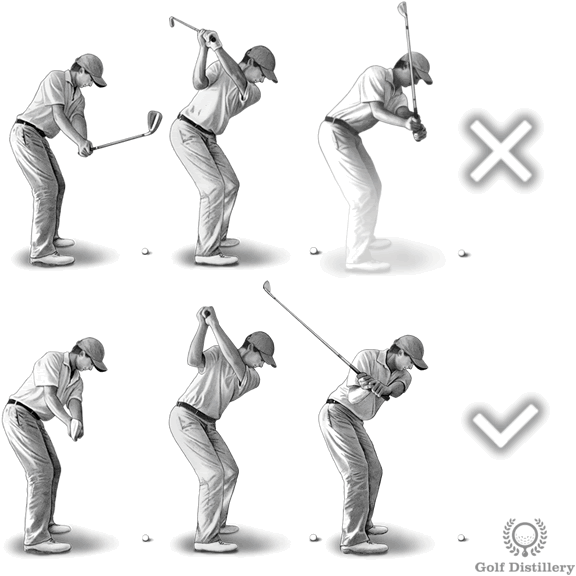 Indeed, golfers with this swing error will often perform an otherwise fine takeaway and backswing but will proceed to adjusting the location of the club as it loops around the top of the swing. They will incorrectly position the club on top of the target line and in doing so will interrupt much of the energy flow generated by the coiling of the shoulders and hips. A correct swing starts with a correct takeaway. Indeed, you need to make sure you are not taking your club outside during the takeaway. Instead, a square takeaway or even an inside takeaway while you work to get right of the swing error may be preferable. You’ll then need to make sure the club is positioned correctly at the top of the swing. 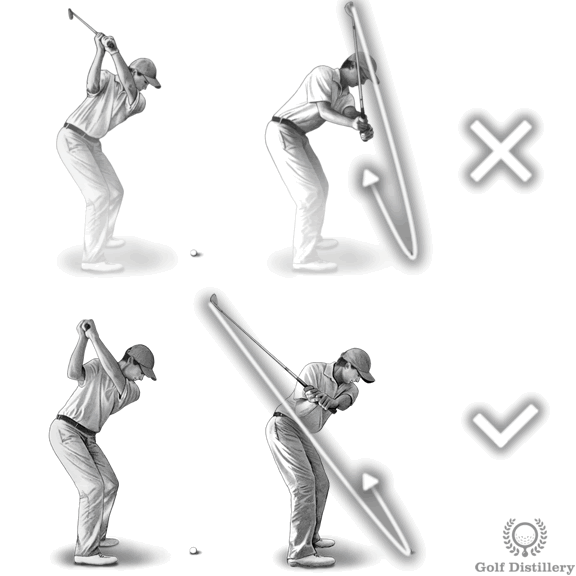 Finally, as you begin bringing your hands down for the downswing you’ll need to resist the urge of repositioning the hands and club outside. Simply let them travel along a similar path that they took going up.